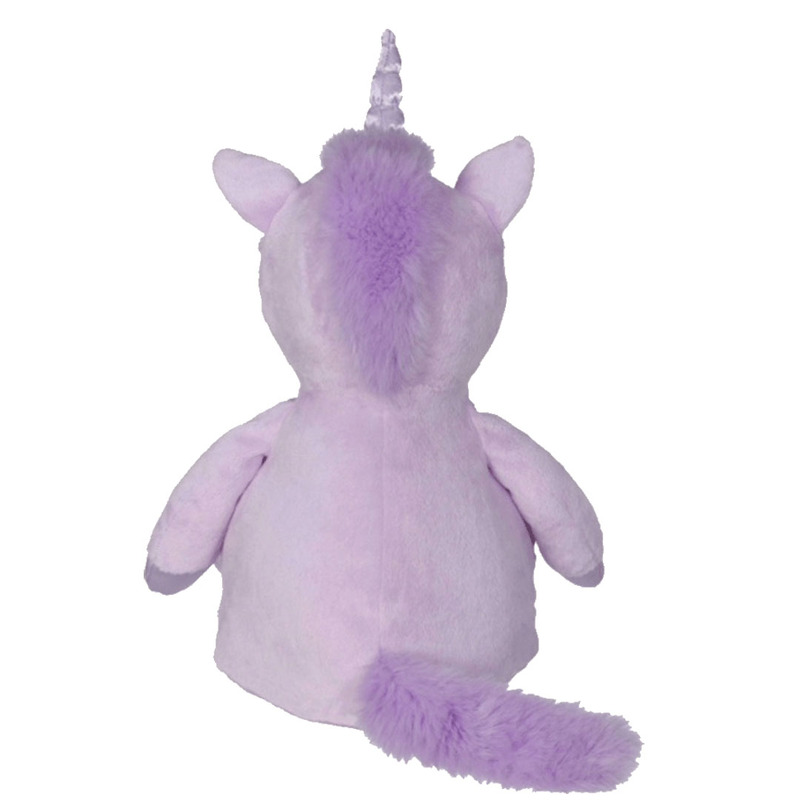 Our unique Violette Unicorn Buddy stuffed animal is a soft violet color with a cream white belly, and satin paws. With her big blue eyes and spiralling satin horn, she'll be an irrisistable gift for the new Big Sister! 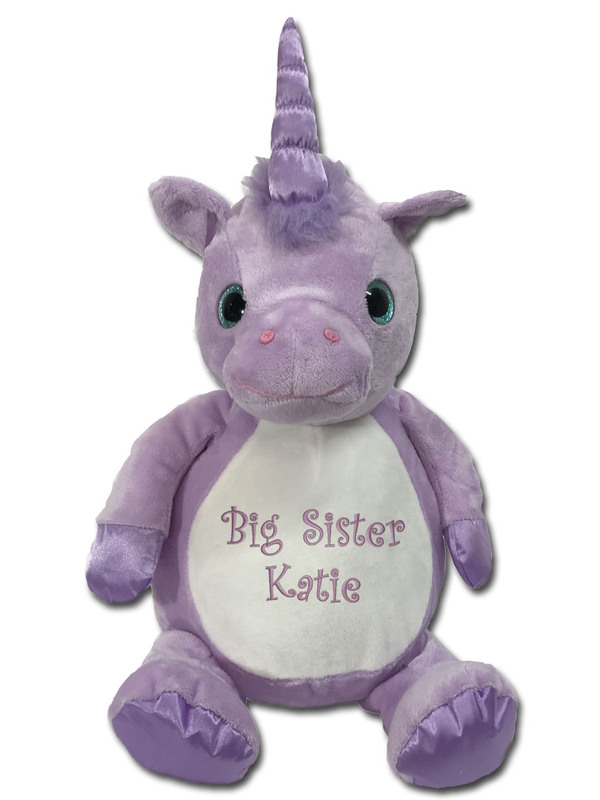 We embroider Big Sister's first name right on her tummy, to make an extra-special personalized gift! Violette has a separate removable body pod with a zippered bottom opening, that makes a great "hiding place" for storing pajamas, a diary, or even secret treasures or gifts!